ATLANTA, June 10, 2013 — On Father’s Day, the sixth busiest retail sales holiday, more than 70 million dads across the U.S. will be honored with a broad range of gifts. Many of dads’ top-picks—tech gadgets powered by rechargeable batteries—will replace older models of the same type of product. Studies show, however, that disposing of the newly obsolete electronics, and their batteries, is problematic for most people. Call2Recycle®, North America’s largest battery stewardship program, is making it easier for dads to identify items that should be recycled and to properly dispose of them. Rechargeable batteries contain materials that are potentially harmful to the environment and should never be thrown into the trash. 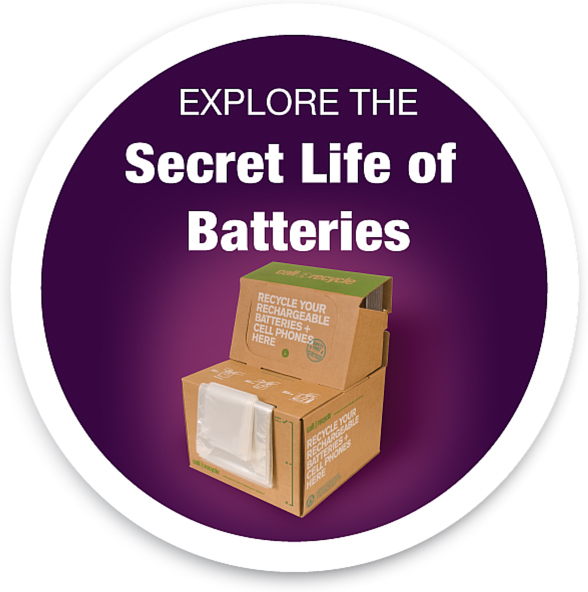 However, each year, some 14,000 tons of these batteries end up in landfills where they take up space and could contaminate the soil and drinking water. Batteries, once removed from their device, can be recycled at one of more than 30,000 drop-off locations throughout the U.S. and Canada, including Lowe’s, Best Buy, The Home Depot, RadioShack, Staples and more. Today, recycling rechargeable batteries can be a quick, easy and convenient part of almost any shopping trip.